When is a religious community a cult? 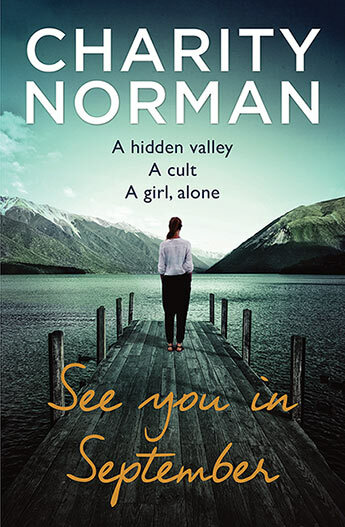 Charity Norman muses on Gloriavale, cult leaders and researching for her new novel See You in September. Some time ago I spent a few days at Southern Star Abbey, a Cistercian monastery in a remote corner of Hawke’s Bay. The community are extraordinarily hospitable, caring people who gave me a room in their guesthouse and total peace in which to write. There were no questions asked and no strings attached; I didn’t have to profess any faith at all. The monks keep the offices (prayers) seven times a day, beginning at four in the morning. I remember waking in pitch darkness and listening to the steady tolling of the Abbey’s bell, clearly audible through the drum of heavy rain. I knew people were quietly making their way to the church. It was all oddly comforting, though I didn’t get out of bed to join them! I quickly became used to the rhythms of monastic life, and felt quite bereft as I drove away to rejoin the outside world. The experience came back to me when I began to write a book about a young backpacker who visits an isolated and loving community – but one that, unlike the Abbey, has some serious strings attached. Research for See You in September involved a crash course in destructive cults, new religions and mind control techniques. These techniques are used, in some form, by all kinds of outfits – multinational new religions with film stars among their followers; military interrogators; radical Jihadist recruiters; even those weird couples where one partner has an almost cultic hold over the other. The community at the heart of See You In September is led by a man called Justin Calvin, and his personality is key. Many cult-like groups have a self-proclaimed, charismatic – often sociopathic – leader. They’re generally, but not exclusively, male. Sometimes such a leader casts himself as the reincarnation of a historical figure, and Jesus Christ is a popular candidate. There are reams of self-proclaimed Messiahs all around the world, including Australia. And here’s the scary thing: some are ignored as cranks but others are highly successful, with throngs of adoring worshippers. Don’t believe me? Have a look on YouTube. Take the Messiah of Siberia, for example: Vissarion Christ, an ex-traffic cop who sports flowing robes, a beard and an enigmatic smile. People flock to him in the thousands. Many have abandoned families, respected professions and comfortable lives; instead they work their fingers to the bone, scraping a vegan living in the Siberian wastes. They whisper their teacher’s name in hushed voices, learn his utterances by rote and hang his picture on the walls of their huts. They have given him everything. Clearly, he fulfills some longing in the human spirit. Vissarion looks like a charlatan to me (though if I get struck down by a thunderbolt, you’ll know why) but he seems relatively benign – so far, at least. Perhaps some cult leaders start out with philanthropic intentions, but all too often power corrupts. Many closed groups have become notorious for the mistreatment of vulnerable members. 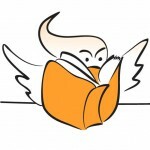 Here in New Zealand during the 1980s and 90s, Centrepoint Community was one in which sexual exploitation of children became endemic. 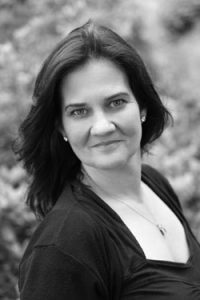 The isolated religious community of Gloriavale is highly controversial, and has recently been the subject of investigation into allegations of physical and sexual abuse. These are denied by the community’s leaders – but they don’t deny that women are expected to be utterly submissive, that marriages are arranged, that rules are rigid and anyone who leaves will be outcast. Tragically, some cult-like groups have ended in disaster. In 1978, more than nine hundred members of The People’s Temple – followers of Jim Jones – drank cyanide-laced punch and died. About a third of them were children; some were babies. The idiom ‘drinking the Kool-Aid’ is a reference to this horror. In 1997, thirty-nine followers of Heaven’s Gate went on a final road trip together and made cheerful farewell videos for their families. I’ve watched some of these messages – an unsettling experience. They seem like nice people. They had faith in Marshall Applewhite, a charismatic man who they truly believed to be an embodiment of Jesus Christ. They were sure he was going to lead them to the next level on a spaceship that was hiding behind the comet Hale-Bopp. Within days, all were dead. Where – if any – is the line between a ‘normal’ religious community – or farming collective, or self-help group, or pyramid selling scheme, or any other group with a passionately held vision – and a destructive cult? Let’s face it, the morality can be pretty blurred. Rigid rules, thought control and the abuse of vulnerable people are hardly unheard of within mainstream religions. And can individual freedom ever be a price worth paying, if everyone is happy and nobody is lonely? I think not; but these are questions that kept shifting their shapes while I was writing See You in September – questions that kept me awake at night. Maybe I should go back to Southern Star Abbey, listen to that comforting bell in the darkness, and hope for answers. 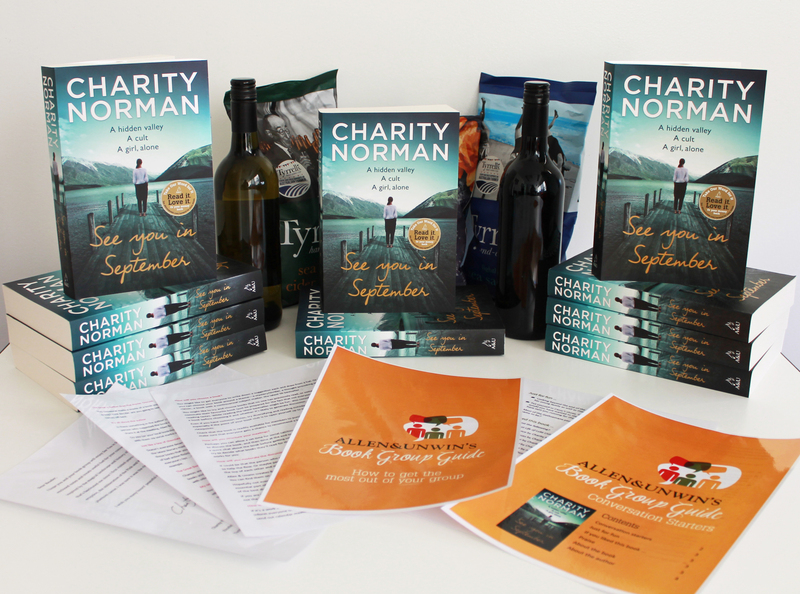 As a perfect book for bookclubs, we’re giving away a box with ten books, some wine, snacks & more – enter here.